This is a comical coming-of-age story of Archer Magill’s journey from first to 6th grade, and his navigation of family and school issues. Archer has identified his greatest role models: his grandpa, his dad, his uncle Paul, and Mr. McLeod, the first male teacher in the history of his school. Many changes come with middle school and puberty. 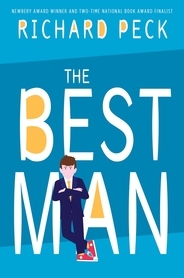 Then a really big change comes when he's the best man at the wedding of two of his role models. On Marin's island sunlight comes out once every twenty-eight years. Because sunset triggers the tide to roll out hundreds of miles, the islanders are frantically preparing to sail south, where they will wait out the long Night. Marin and her twin brother, Kana, help their anxious parents ready the house for departure. Locks must be taken off doors. Furniture must be arranged. Tables must be set. The rituals are puzzling bizarre, but none of the adults in town will discuss why it has to be done this way. Just as the ships are about to sail, a boy goes missing—the twins’ friend Line. Marin and Kana are the only ones who know the truth about where Line has gone, and the only way to rescue him is by doing it themselves. 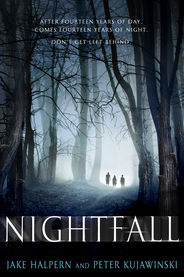 But night is falling…. Carson Fender, seventh grader and notorious prankster, has lived in North Dakota for his entire life, going to the same boring school every day, the same boring movie theater every week, the same boring state fair every year. Nothing ever changes, and nothing ever happens. That is, until today when a desperate man in a black suit hands him a package with a dire set of instructions. And that package is going to lead Carson to discover that there's a secret government agency operating in his small, quiet North Dakota hometown. And that this agency needs his help. 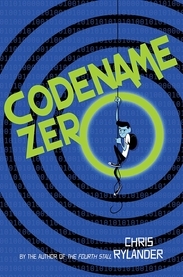 This is a funny middle school story/spy adventure. On a stormy May day in 1929, William and Maxine arrive on the doorstep of Battersea Manor to spend the summer with a grandfather they barely remember. Soon after they settle in, Grandpa receives a cryptic telegram and promptly whisks the cousins off to New York City to meet an unknown courier and collect a very important package. Then Grandpa vanishes without a trace. When the cousins stumble upon Nura, a girl from Turkey, she promises to help them track down the parcel and rescue Colonel Battersea. 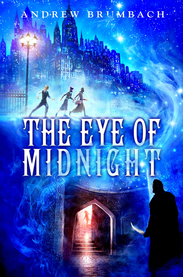 With cold-blooded gangsters and a secret society of assassins all clamoring for the mysterious object, the children soon find themselves in a desperate struggle to escape the city's dark streets alive. 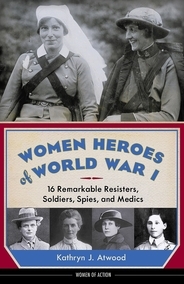 Women Heroes of World War I" brings to life the brave adventures of 16 women from around the world who served their countries during The Great War. Resisters, spies, medical personnel, soldiers, and journalists, the stories of these daring girls and women from around the world are told through fast-paced narrative, dialogue, direct quotes, and document and diary excerpts. Historical background information opens each section, and each profile includes informative sidebars and Learn More lists of books and websites for further study. 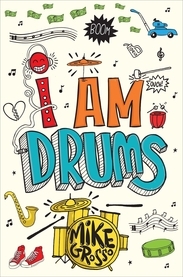 Sam knows she wants to be a drummer, but she doesn’t know how to afford a drum kit, or why budget cuts end her school's music program, or why her parents argue so much, or even how to explain her dream to other people. But drums sound all the time in Sam's head, and she must figure out how to realize her dream of being a drummer.